FREE ADMISSION FOR VETERANS FOR A WEEK TO CELEBRATE VETERAN’S DAY! 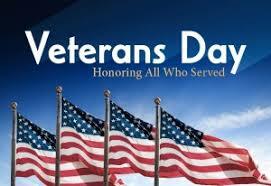 Here at the Imagine Museum, we love our Veterans and thank them all for their service! We’d like to celebrate Veteran’s Day this year by extending free admission to any Active Duty, Retired, and Veteran with Military ID through the week of Sunday, November 11 – Saturday, November 17. Tell a Vet!